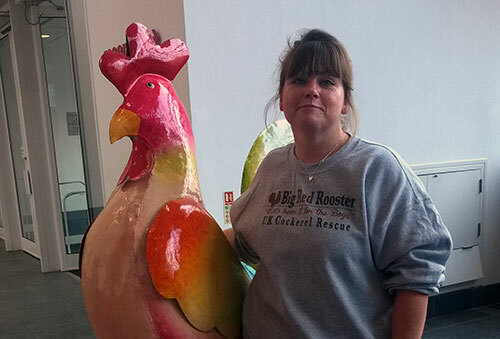 In 2014 Helen set up Big Red Rooster as she had for many years been recusing Chickens and especially Cockerels. Helen did this as she had spent several years working with Chickens and seeing first hand the plight of unwanted Cockerels. After finding out there was no UK rescue for Cockerels she set about setting one up. Helen has taken courses in Chicken behaviour and specializes in rehabilitation of aggressive Cockerels.